This is an awesome club to be a member of - I've earned a ton of free Old Orchard juice and swag over the years and it's so easy to do! 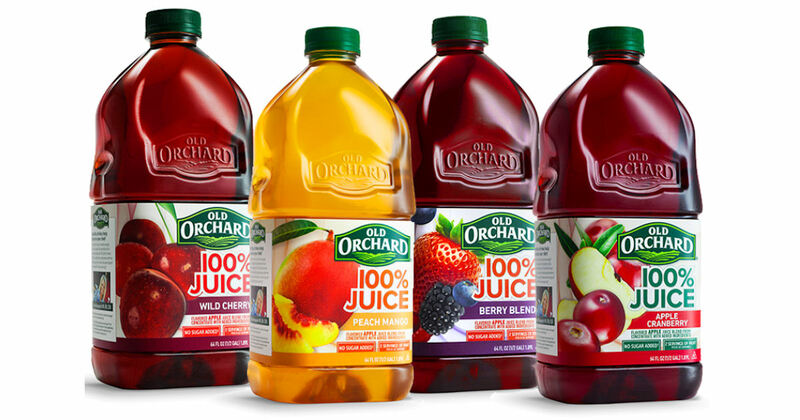 Sign up to become a Old Orchard fan club member and start earning points that can redeemed for free Old Orchard Juice, tote bags, lip balm, baseball caps and more! Get 1,000 points when you join, another 400 pts if you subscribe to all 4 of their email subscriptions, 500 pts when they publish a recipe or question you submit. You can also add your birthday to your account and receive 2,000 pts on your next birthday! Click 'Earn Points' to learn all the ways you can earn even more free points. 1,900 pts. are needed to get a coupon for a free 12oz can of frozen Old Orchard concentrate. 2,000 pts to get a coupon for a free 64oz bottle of Old Orchard.